Fancy rats are unfortunately prone to tumors. Our Noi developed a large lump that quickly grew to the size of a ping pong ball. Today she had surgery to remove it. 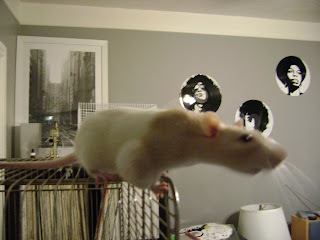 She was so well behaved, the girls in the vet's office said she was the nicest rat they'd ever met. Now, instead of spending all her time devising new ways to open her cage, she's focusing on figuring out how to unwrap the bandages keeping her from chewing on her stitches. I feel earth move under my feet! In honour of today's events. Today I picked up our first Good Food Box. I wasn't really sure what we would get, so I ordered the smallest box. 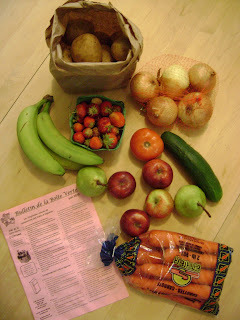 For $10, I'm pretty happy with what we got: onions, potatoes, carrots, apples, pears, bananas, strawberries, a cucumber and a tomato! Next month we'll try out the all organic local box. 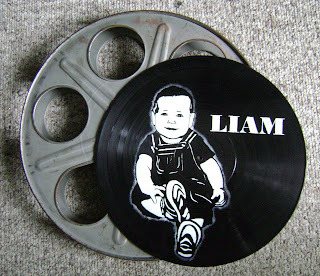 A coworker requested this record for her godson's first birthday. Yesterday was a lot of fun. Chris and I went to the Steampunk Science Fair and saw lots of neat props and great vendors. I picked up an awesome 1960s motorcycle jacket from Zamira for only $35. It's really more Joan Jett than steampunk but I'm so glad she had it at her booth. While considerably more expensive, I'd love to get a custom corset from shameless fashion. 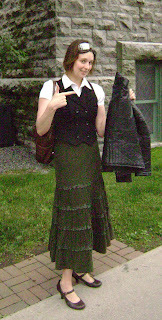 All the steampunk ladies wandering around were giving me a serious case of corset envy. After trying unsuccessfully to get in on a Bank of Canada tour two years in a row, I finally managed to wake up early enough on Doors Open Sunday to get one of the sought after tickets. In all honesty, it likely had more to do with the rain than my ability to drag myself out of bed before 10am. 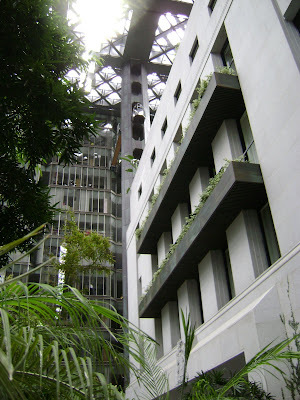 While we weren't allowed to take any photos once inside, I dig snag a few pictures in the atrium. For 1970s office towers, the East and West blocks were pretty cool, but I was a little disappointed to see that renovations had robbed the old building of many of its art deco details. The fully restored boardroom was a beautiful exception. I love these LED light bulbs! I also saw the Fleet Street Pumping Station. Built in 1874, it is still pumping 40% of the city's drinking water, all powered by the force of river water running through its aqueduct. While we wont be able help our welding friends from Toronto with their incredible Heart Machine, Chris and I are excited to be participating in an honorarium art installation at Burning Man this year. 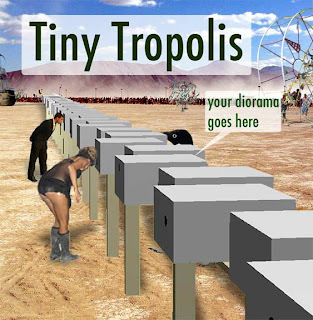 We've signed up to create a diorama for Tiny Tropolis! I love tiny little things (as I've mentioned before) so I can't wait to get started on our little scene. Thomas Doyle's work is so interesting. His website is definitely worth checking. Maddie Chambers made an incredibly detailed miniature version of Bag's End. She's currently working on the Prancing Pony which promises to be just as impressive. Eames Loungers and Ball Chairs, need I say more? finally, Modern Miniatures on Flickr Close to 4000 images! Oh my! 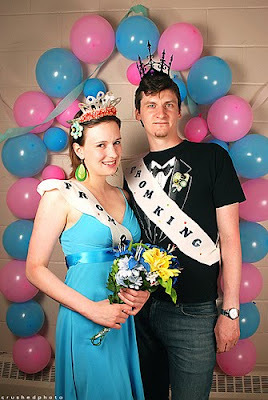 After we had fully recovered from our adventures at the Great Glebe Garage Sale with a nice long nap, Chris and I put on some party clothes for the Rock n' Roll Pizza Party Prom. While not on the same scale as Promdemonium, there were cupcakes! and bubbles! Never mind the bubbles, the cupcakes made by Auntie Loo were delicious! But we were still craving pizza so we picked some up fromPizza Shark on the way home.